Welcome to Common Ground Community! Who We Are: We are a group from all backgrounds trying to put feet to our faith at our community center in the Cedar Grove neighborhood of Shreveport, Louisiana. We live life together as neighbors and friends, encouraging deep, meaningful relationships, and recognizing the inherent worth of each individual. What We Do: We love all people without judgment or expectations and provide a safe place of common ground, because we believe every person is a worthy and valuable creation of a loving God. We seek to foster restoration of all individuals who come through our doors and the community of Cedar Grove. How We Do This: We provide opportunities for educational, spiritual, and personal growth to strengthen self-sufficiency and to encourage a hopeful pathway for the future. We have children's programs, mentoring for young folks, host a community meal, provide food and clothing, and garden together. 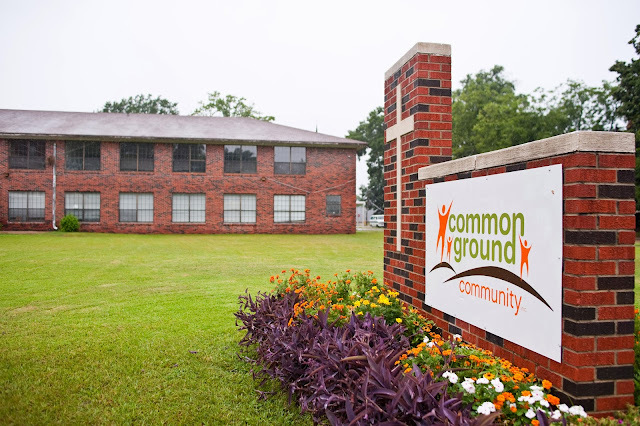 Click here to watch a video where Sarah shares what goes on at Common Ground each week!